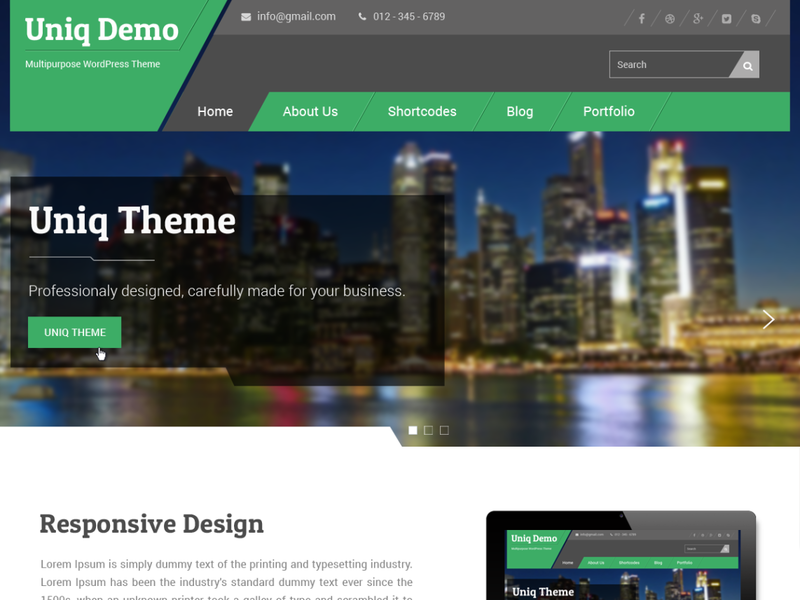 Uniq is elegantly designed clean and responsive theme. It comes with customizer option panel and one primary widget area and 7 other widget areas. It uses skeleton grid for layout which keeps minimal css. Also, it uses SASS to generate stylesheet. Best suited for Corporate/Business and Blog sites, but can be used for any type of site.